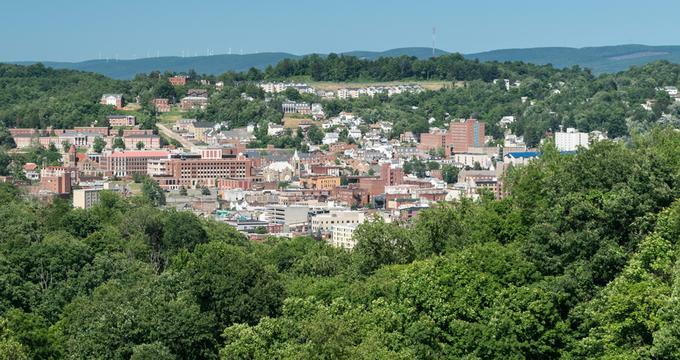 Stretched along the banks of the Monongahela River between the Appalachian foothills and the former Rust Belt, Morgantown, WV is known as the home of West Virginia University, founded in 1867. Best things to do in Morgantown, West Virginia include the Art Museum of WVU, the Earl L. Core Arboretum and the Morgantown Farmers’ Market . Opened in the summer of 2015, the Art Museum of WVU is an engaging and diverse art center. The museum, located on the Evansdale campus of West Virginia University, is open to the public, and it is dedicated to showcasing the powerful impact of visual arts on the community. With the intention of highlighting artistic traditions of varying cultures both modern and historical, the museum hopes to inspire visitors to develop a more mindful appreciation for themselves and the world around them. 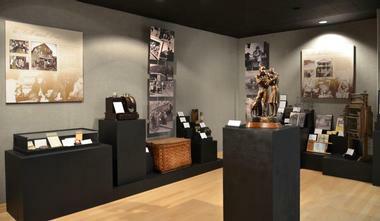 The museum hosts two large galleries with nearly 5,500 square feet of exhibit space. The West Virginia University Coliseum has been one of the nation’s most prestigious and much-loved venues for college basketball for many decades. Located on the Evansdale campus of the West Virginia University, the Coliseum is a 14,000-seat multi-purpose arena which is home to the WVU Mountaineers men’s and women’s basketball teams, as well as the men’s wrestling team, and women’s volleyball and gymnastics teams. 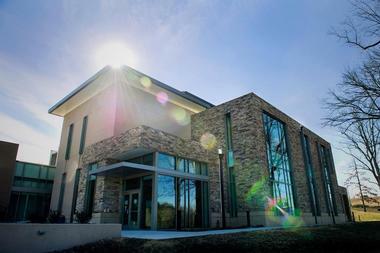 The vast structure also features a 3,000-square-foot weights room, dance studio, racquetball and squash courts, a safety lab and over 100 offices, lecture rooms and seminar spaces. With seating designed for optimized viewing during sporting events, the stadium hosts an array of sports events, games and tournaments throughout the year. 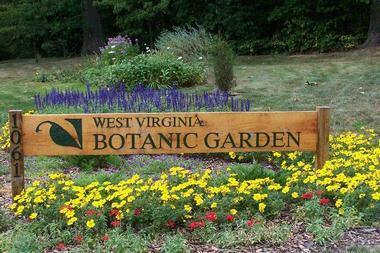 The West Virginia Botanic Garden in Morgantown is a one-of-a-kind botanical garden that features plants appropriate to the Appalachian region. Spanning 82 acres around the Tibbs Run Reservoir, which used to provide water for the residents of the town, the Garden was formed in 1983 and opened to the public as an educational and recreational facility. The West Virginia Botanic Garden features a collection of small designed gardens and an age-old forest, as well as a network of hiking trails and a boardwalk that crosses the wetland area. The Earl L. Core Arboretum is owned by the West Virginia University and is open to the public on a daily basis without charge. The 91-acre garden was established in 1948 by Professor Earl L.
Core and had been an invaluable educational resource for both the university and the public ever since. 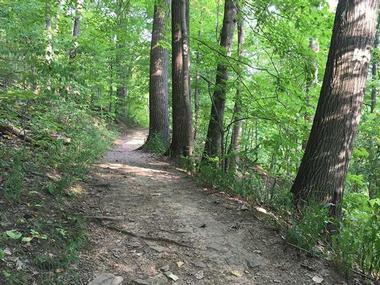 Best known for its amazing spring wildflowers, much of the Arboretum is covered by the Monongahela River flood plain, which includes a dense wooded area and a network of hiking trails, as well as three acres of planted, landscaped lawns and old-growth forest. 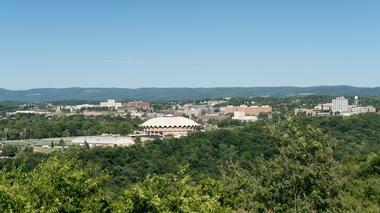 Housed in the West Virginia University’s Benjamin M. Statler College of Engineering and Mineral Resources, the Royce J. & Caroline B. Watts Museum is dedicated to preserving and presenting the history of West Virginia’s coal and petroleum industries. The museum features interesting and informative collections and exhibitions of historical objects, artifacts and archival materials relating to the global industries of coal and petroleum. The permanent collection includes a broad range of drilling and mining objects, including flame safety lamps, canary cages, and model oil derricks from latter-day mining. The museum also owns a diverse collection of petroleum products that have been donated by various mining and petroleum companies for education. Formerly known as the Recreational Opportunities for All Young Kids Initiative (ROFAYKI), the Children’s Discovery Museum of West Virginia is dedicated to inspiring children to explore, discover and learn through interactive play. The museum offers an array of hands-on exhibits and educational programming that engages the imagination, develops the critical thinking skills of children and inspires a passion for learning. The museum features interactive exhibits that are fun and educational, including Engineer It! which gives children the chance to use their planning, building, testing skills; Space Weather where visitors learn about weather in space and its effects; and a special Hands-On Science Area for children ages five years old and up. Home to the West Virginia Mountaineer NCAA Division 1 FBS football team, the Mountaineer Field at Milan Puskar Stadium, also known as the Mountaineer Field is one of the country’s top football arenas. Located on the West Virginia University’s Health Sciences campus, the double-decker stadium seats up to 60,000 people, with each seat offering unobstructed views of the field. The state-of-the-art stadium features an array of modern amenities, including luxurious stadium suites and skyboxes with dining, kitchen, restroom and special seating areas; food and beverage stands, restrooms, souvenir shops, bank machines, and more. The stadium also hosts a variety of large concerts and other events throughout the year, such as music concerts, Bands of America and Drum Corps International. 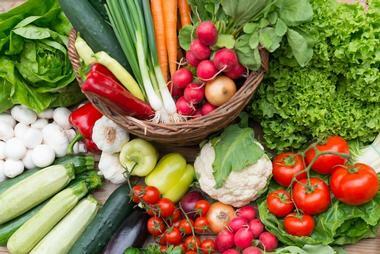 The Morgantown Farmers’ Market is held every Saturday morning from 8:30 am to 12:00 pm May through November and features an array of fresh farm produce from more than 30 farms. Located in the heart of downtown Morgantown, the market is the first solar market in West Virginia and offers visitors a fantastic selection of farm-to-table products, including fruit, vegetables, herbs, flowers, meat, poultry, eggs, freshly baked bread, pastries and specialty foods. The market also features a variety of events throughout the morning, such as culinary demonstrations, nutrition assistance programs, live music, and healthy lifestyle activities like dancing, yoga and hula-hooping. 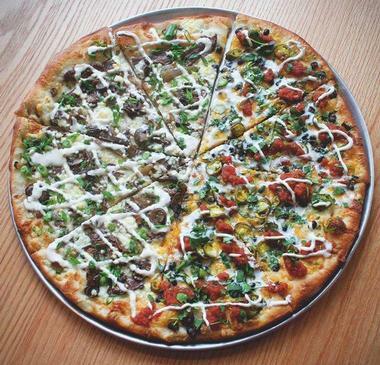 Located in the Suncrest Towne Centre in the heart of Morgantown, Pies & Pints serves unique, delicious gourmet pizza and craft beer. Just a few minutes’ walk from the town’s main attractions and vibrant nightlife, Pies and Pints Morgantown is ideal for a quick drink with friends or a casual dinner for two. 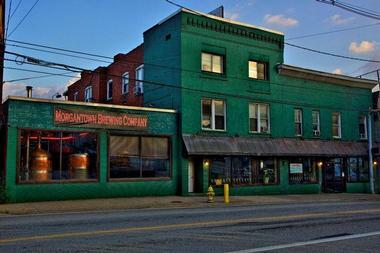 Morgantown Brewing Company (MBC) is West Virginia's oldest operating brewery, producing and distributing high-quality craft brews. The brewery produces eight special craft beers, as well as several seasonal brews and small-batch special brews that are released each week and can be sampled on a tasting tour of the brewery or enjoyed at the restaurant and bar. Visitors to the brewery can enjoy a menu of traditional tavern-style fare made from locally-sourced ingredients, such as soups, salads, wraps and folds, burgers, sandwiches, subs and small plates of nachos, calamari, pretzels, and dips. 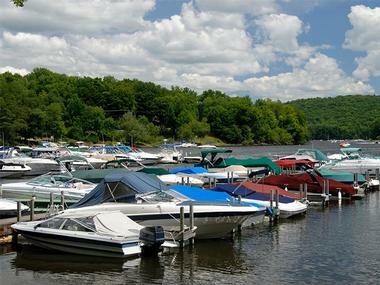 Located on the beautiful Cheat Lake, Sunset Beach Marina is tucked away in a scenic cove and offers an ideal base for a range of boating, jet-skiing, and other water-based, outdoor activities on the lake. Sunset Beach Marina features a variety of services for visitors, including a full-service fuel dock and marina shop that sells snacks, drinks, ice and other marine supplies needed for a fun day out on the lake. Visitors can rent a range of watercraft to enjoy, from pontoons, tubes, skis and wakeboards to kayaks, paddle boats, and ski boats. There is also a full selection of boat services available for boat owners: cleaning and detailing, winterization and storage, summer trailer storage and mechanic services. 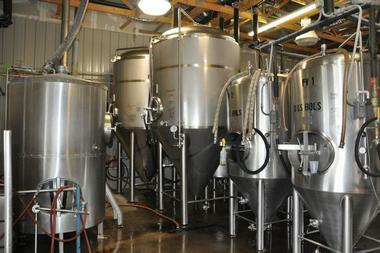 Mountain State Brewing is the largest full-scale microbrewery and distributor of craft beer in West Virginia, with satellite breweries in Thomas, Morgantown, and Deep Creek. Co-owners Brian Arnett and Willie Lehmann sold their first beer in 2005 and have been producing and distributing outstanding artisanal and craft beers ever since. Mountain State Brewing in Morgantown offers a casual, relaxed atmosphere to kick back in and enjoy the selection of craft beers accompanied by a delicious menu of wood-fired flatbreads and dips, small plates of Mediterranean-style snacks, fresh salads and homemade sandwiches with diverse fillings. Pair a hearty homemade pulled pork, onion, green pepper and smoked mozzarella sandwich with a Seneca Indian Pale Ale for the perfect late afternoon snack. You may also like: 20 Best Things to Do in Charleston, West Virginia.